It is a real 'back to basics' week. This book is a really good one to have handy on the shelf (I don't know what happened to my first copy). 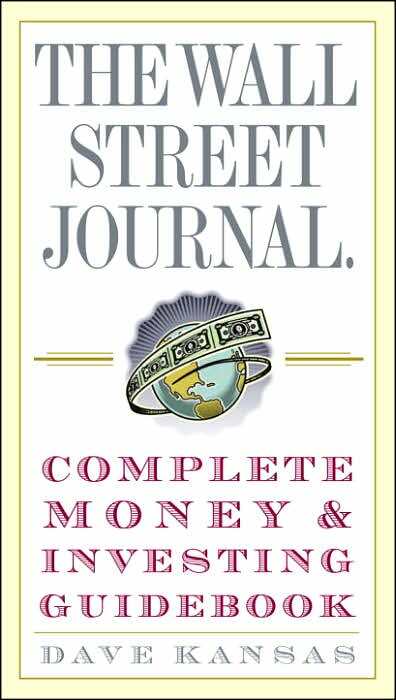 It gives a really great basic approach to everything in the world of money and investing... from Exchange Trade Funds to Money Creation this book covers it all. I was thinking all week what I would do for this book in terms of this blog. Sure I could do a laundry list of money and investing terms and give the definitions, but that sounds extremely dull.. I don't know if I could get through typing it without taking a nap, let alone forcing you all to read it. Instead, what I would like to do is talk about inflation and money creation. 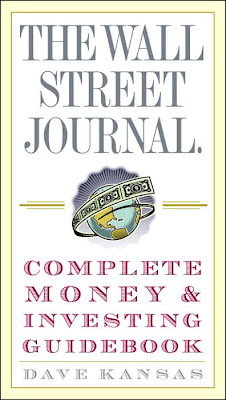 Both are covered in this book with a basic amount of detail, but it really makes sense right now because I expect we will see more and more inflation in the upcoming years. In the past year silver, one of my favorite commodities, has gone from a low of $14.98 to this week hitting a record high of $22.09. Who else has seen a 30% yield in an investment this year? Not many. (This is the best scenario possible, more likely you would have purchased silver at $16-17, however, that is still about a 20% yield). This all has happened while the dollar has dropped in value. There are a number of ways to evaluate the value of the dollar. These are the CPI, the GDP Deflator, the consumer bundle, the unskilled wage, the compensation of production workers, the GDP per capita, and the GDP. This may indicate to you that there really isn't a great way to establish this value. The most popular number to gauge inflation by is the CPI although many people question it's reliability. A large cause of inflation comes from increases in the Money Supply. If new money is put into an economy without doing an even trade for old money then all the money that currently existed is worth less than it did previously. Simple supply and demand... the more of an item there is the less it's worth. We have had a bad habit in the US of creating new money and "stimulating" the economy artificially. The idea behind a stimulus is that we pump billions of new dollars into an economy and everyone will take that money and start buying new 'things' and when new 'things' are bought then more people will need jobs because we need to make more 'things.' It doesn't work because in a poor economy based on debt driven society people are more likely to pay off old debt than buy new toys. So the US has been injecting the economy with dollars and because the majority of those dollars didn't go to create any new jobs or create any new society switch for our economy we are on the road to see massive inflation. When hyperinflation hits a country it starts very subtly. Then it picks up and you'll see prices for items raise a couple times a week, then a day and then hourly. When it starts salaries start to increase with it, but eventually it happens too fast and salaries can't increase at the same rate. Anyone that owns that country's currency at the end is out of luck. Other countries that experienced hyperinflation, the currency toward the end is used as kindle for fires because not only can the countries residents not afford to pay for their heat, but the money is worth less than anything else that might be burnable. However, if you are invested in other things outside that currency; real estate, commodities, other currencies, you'll be better off because those items will most likely increase in value while the currency depreciates. Here is a list of countries that have experienced hyperinflation- including the US in 1861. Hyperinflation is a worst case scenario, however, I like to always be prepared. It does not hurt to invest outside the dollar anyway because regardless of whether we experience hyperinflation or not, we will experience some inflation and they will increase in value with respect to the dollar. I hope that was a little less boring than definitions. The book is good. It gives you a little taste of everything out there. It's a easy and fun read. As always, if you have any questions on the book don't hesitate to ask. I would be more than happy to help anyone that wants it.